Fascinating photo essay, nicely captured! Thanks, C.S.! Your images are beautiful. I look forward to following your blog. Thanks for stopping by! Thanks so much! I look forward to more of your wonderful work as well. Super views of classy places. Thanks for sharing. 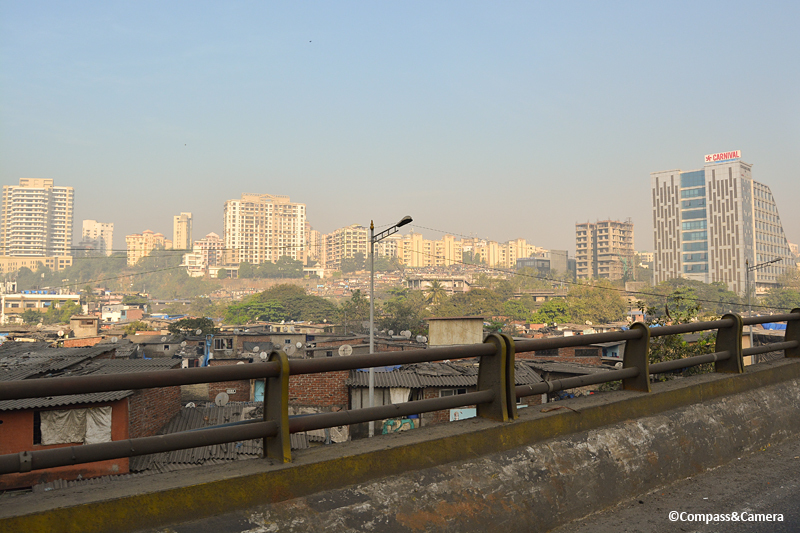 I didn’t get my fill of India — so much to see, so little time! Wonderful post, K. I had never heard of these caves, so I thank you for this learning experience. That second to last inside photo inside the cave is great, and your technique achieved what you needed! Thanks, Angel! 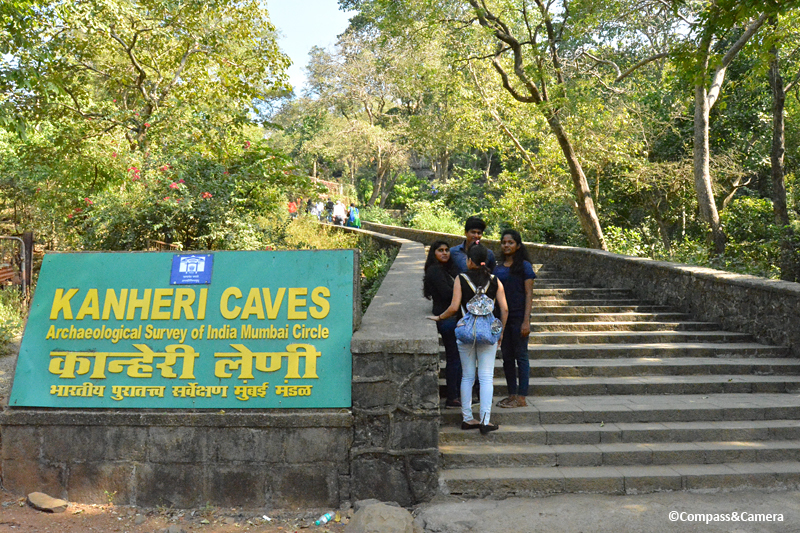 I think the Kanheri caves are unfortunately overshadowed by the Elephanta Caves, located a short boat ride from the tip of Mumbai. I feel lucky to have seen the lesser known of the two and happy to write about a topic not many people have heard of. Great to hear from you! It’s interesting to see what seems like a linggam (a symbol of Shiva) in the otherwise Buddhist structure. Or maybe it’s not linggam after all. Thanks for introducing us to this impressive site, Kelly! I had never read or heard about this cave until I saw your post. 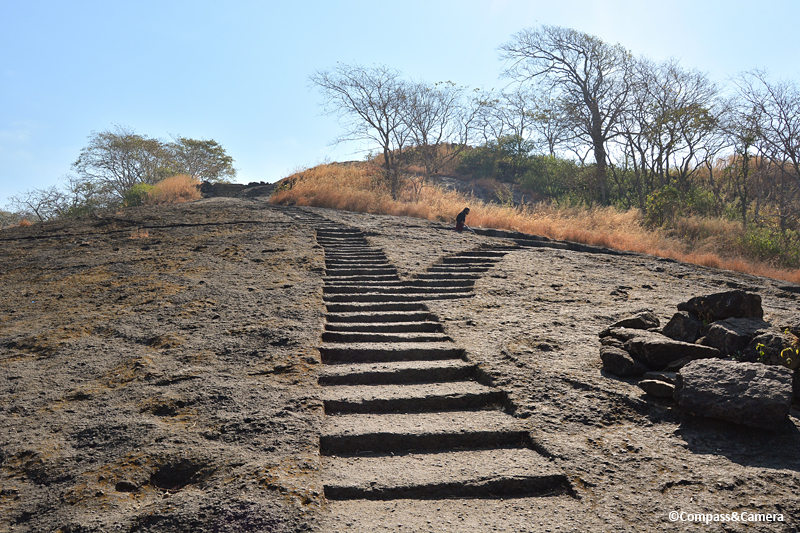 How nice it is to have an ancient site right at the doorstep of a mega-city like Mumbai. That’s a really interesting observation, Bama. I suppose it could be a linggam and indicate the influence of Hinduism on Buddhism in the region. I was guessing people might have circumambulated that form like a stupa, but now you’ve got me wondering. Thanks for that insight! I went to a similar complex about six hours from Mumbai. It is amazing how much time and devotion they put into these complexes. I know in some cases multiple generations worked on the same rock-cut temple. Hey Jeff! Thanks for your comment — it lends some insight to my question about how long it might have taken to create these caves. Agreed — such devotion and craftsmanship in what remains. The caves must have been spectacular in their heyday. Have you been to Cappadocia – I wondered if these caves are reminiscent of those? (They are the only cave-like dwellings I have ever seen.) Your comment about how much (on such minor topics) we document now, when we have so little information about long-ago life, is a great point. I wish there were a happy medium! Lex! Great to hear from you! Yes, I’ve been to Cappadocia. 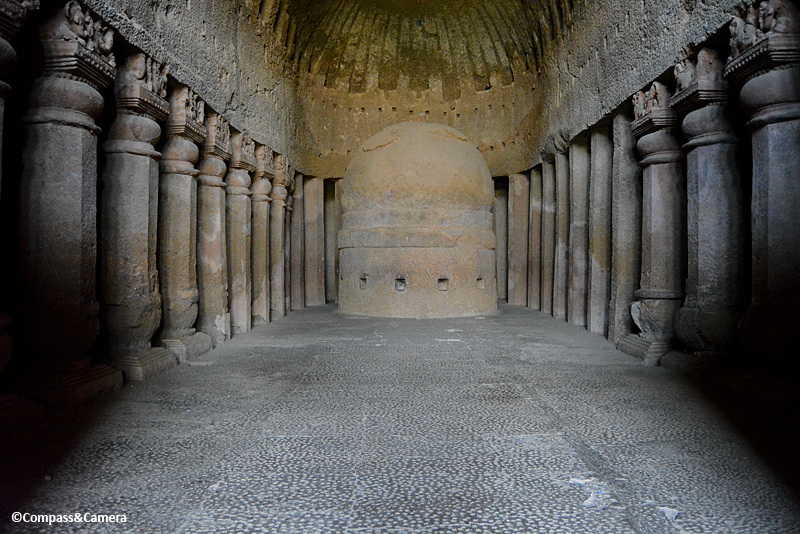 In comparison, the Kanheri caves feel much more open, precise and angular, and focused on the entry area. Cappadocia felt way more closed in and organically shaped, with small doors and windows within rounded shapes. An interesting comparison for sure! I need to hop over to your blog now — I’ve been saving your Cuba posts for a quiet time to savor them! 🙂 Thanks for your comment. Wow i would love to have experienced that place…. Your excellent writing and photos provide a wonderful introduction to this fascinating place! Visiting these ancient sites certainly creates more questions than answers and gives so much to ponder…Thanks for a great post. Brilliant post! Enjoyed every step of your exploration. Thank you so much, Sidran! The Kanheri caves is historically beautiful. Beautiful post and images as always Kelly. The contrast between this tranquil spot and the chaos of the mega city is striking. I have only transited through Mumbai for weddings and funerals, and to board flights on occasion when Chennai was yet to boast an international airport. Have been meaning to return to it like a tourist. I wish I had been free to join you during your visit. Oh, I would have LOVED that!! Seeing any part of India with you would be such a treat. My husband and I look forward to returning to India someday, with plenty of time to travel slowly and deeply through Rajasthan definitely, maybe Kerala, who knows where else? Fingers crossed we can arrange to meet you somewhere along the way! Yes, a very cool place. Check it out! Incredible photos of an amazing looking place. Interesting post! The figures are so beautifully carved and in pretty good shape. 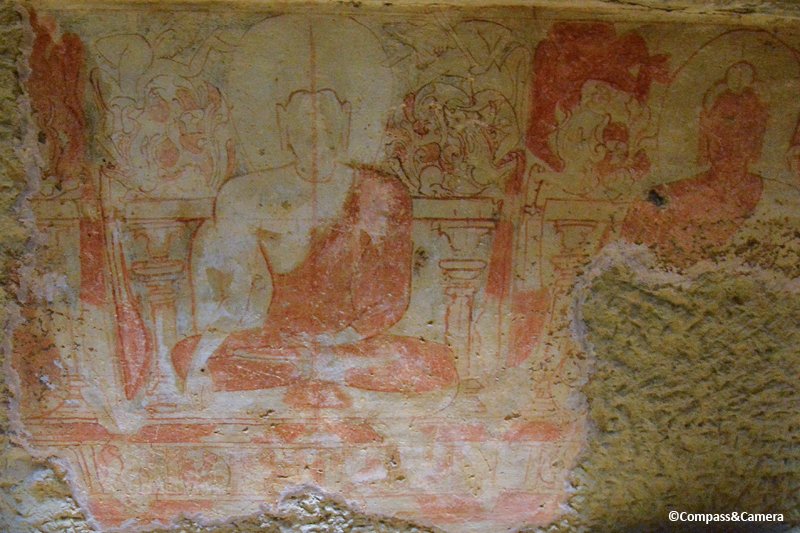 These caves are similar to Buddhist caves we have been to here in Sri Lanka, except that the ones here have many more painted murals in lots of earth tones and even the use of deep blues. You might find it interesting to compare them. Love your photos, especially of the prayer hall and the view from above. 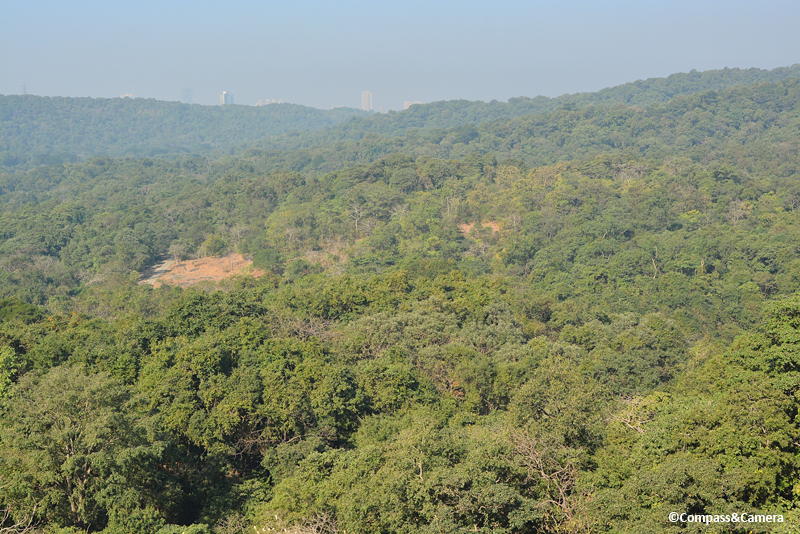 A rare landscape of green in Mumbai.